Hey there, Rockheads! This week I am spotlighting the NEW Mizuno ST190 Driver! 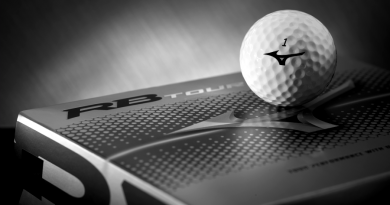 Unlike previous drivers produced by Mizuno, they are starting the design process with their tour players first. These tour-tested designs then make it into the final production model. For the ST190, this design strategy produced a high-speed, long-distance club with Mizuno’s lowest spin rates. 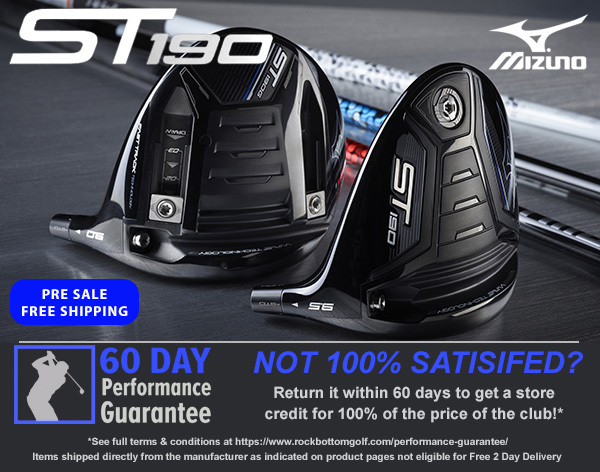 Check out the Mizuno ST190 driver and ST190G driver specs and videos below, and see if this exceptional driver is for you! 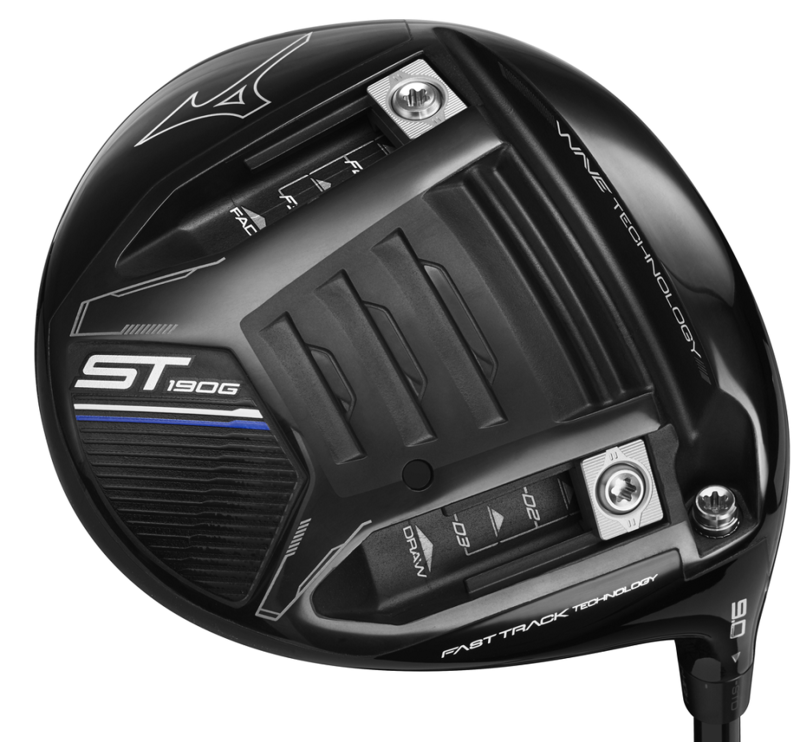 As of the writing of this article, the Mizuno ST190 Driver is only available for pre-order. They should be available for purchase around the middle of February 2019. But why wait? Pre-order TODAY and be the first on your local course to be sporting a HOT new Mizuno ST190 Driver. Forged SP700 Ti Face – The Forged SP700 Ti Face on this driver delivers a higher and more consistent ball speed. Carbon Composite Crown – The lighter Carbon Composite Crown allows weight to be better redistributed for greater ball speeds with reduced spin rates. Amplified Wave Sole – The Amplified Wave Sole creates better forgiveness across the face for better off-center performance. Harmonic Impact Technology – Harmonic Impact Technology consists of internal ribs that create a more solid and powerful sound at impact. Fast Track Weights (ST190G) – These twin weights on the sole can be adjusted for fade or draw biases. They can be used on either track individually or placed on the same track for a heavy fade or draw bias. Here is a promotional video from Mizuno outlining the new technology and features that are found on the ST190. Take a look and see what’s new and exciting about this Mizuno driver. Mizuno ST190 Driver VS Mizuno ST180 Driver – Is New Better Than Old? Mike from Lytham Golf Academy does a driver head to head comparison between the new ST190 driver and the previous generation ST180 driver. See what is new, or not so new, in the new ST190. Do you think it is worth it to upgrade to the ST190 from the ST180? Let us know below. In this video, Keith Mitchell tests the NEW Mizuno ST190 driver! Take a look and see what Keith has to say. 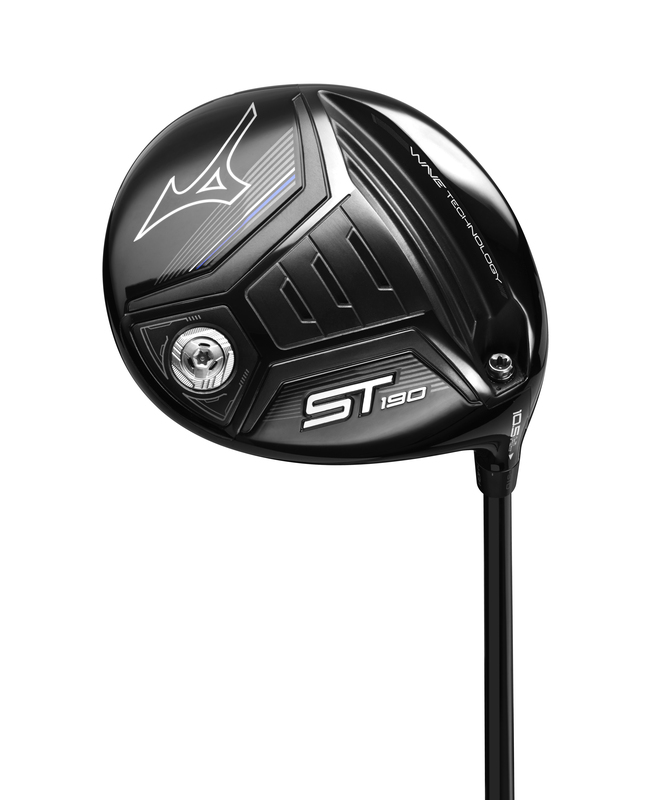 The team at Mizuno unveiled the ST190 driver at the 2018 British Masters. In this video, watch as Mizuno’s tour team share their reactions to this driver. 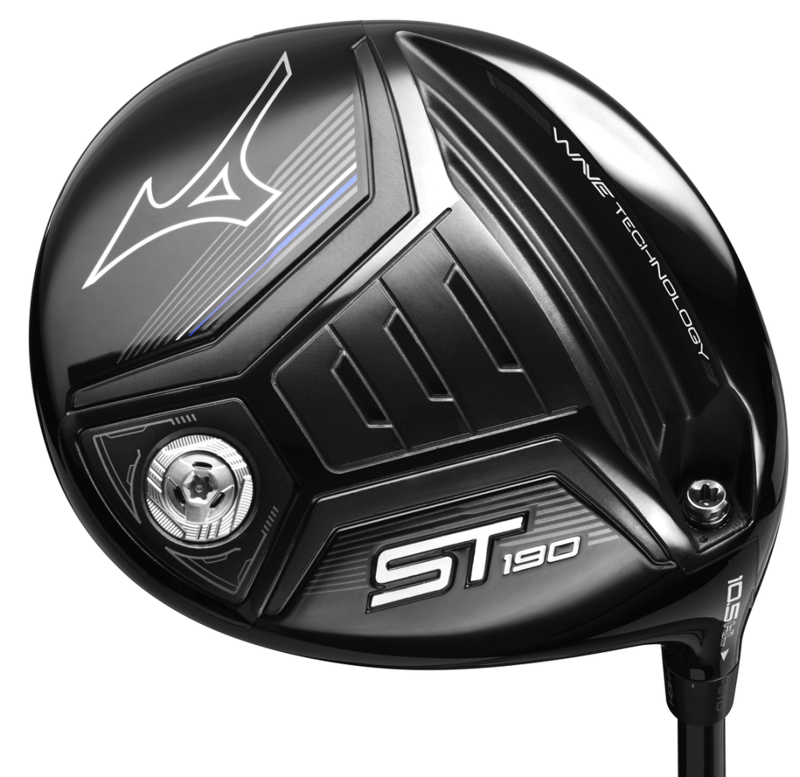 The Mizuno internal staff testing hits both the ST190 and ST190G drivers. They give a pretty good and revealing commentary while testing these great looking drivers. Take a look and see for yourself. Hear what Mizuno internal staff have to say about the ST190 drivers. 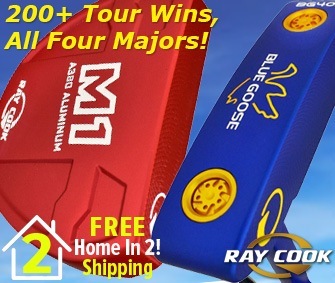 And before you go, don’t forget to check out our other Mizuno gear highlight blog posts! 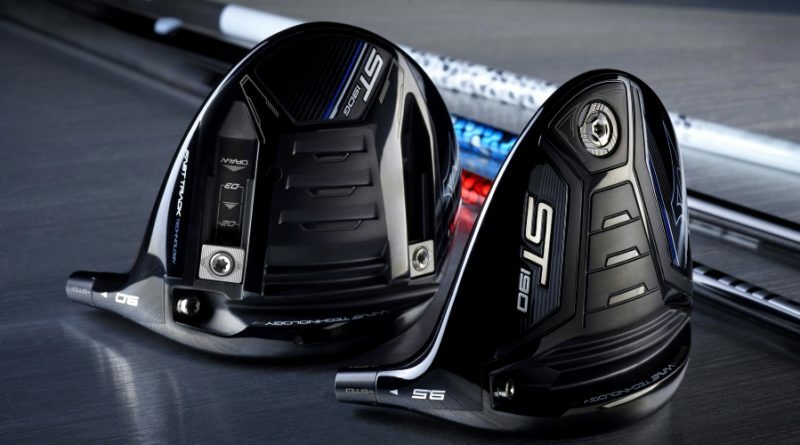 Read up on the S18 Wedge, the JPX919 Irons, the GT180 Drivers, and MORE! Will Lee Westood Become King Of The Golfin’ Hill?